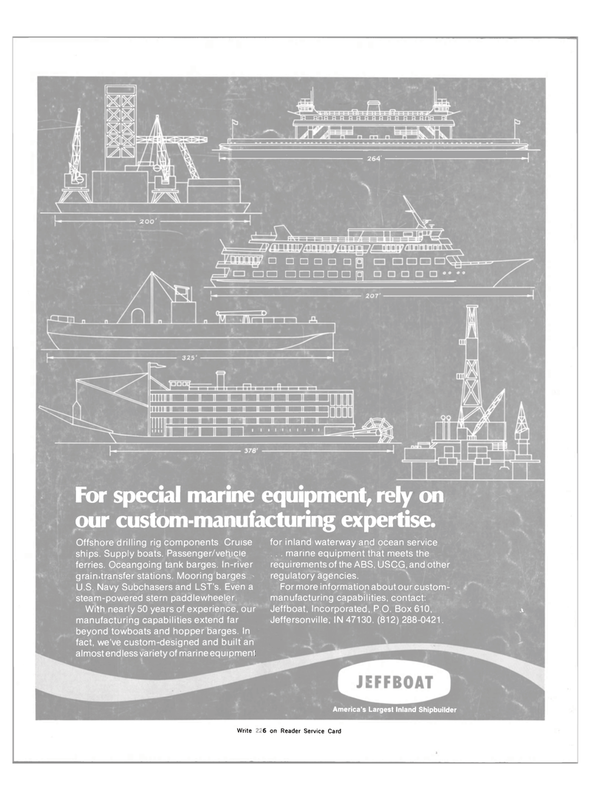 For special marine equipment, rely on our custom-manufacturing expertise. U.S. Navy Subchasers and LST's. Even a steam-powered stern paddlewheeler. With nearly 50 years of experience, our manufacturing capabilities extend far beyond towboats and hopper barges. In fact, we've custom-designed and built an almost endless variety of marine equipment for inland waterway and ocean service . . . marine equipment that meets the requirements of the ABS, USCG, andother regulatory agencies.